Al Wadi Hotel is a product of the strategic alliance forged between Diar Consult and Tange Associates, Japan. Diar Consult was approached by private developer Reef Real Estate in April 2008. 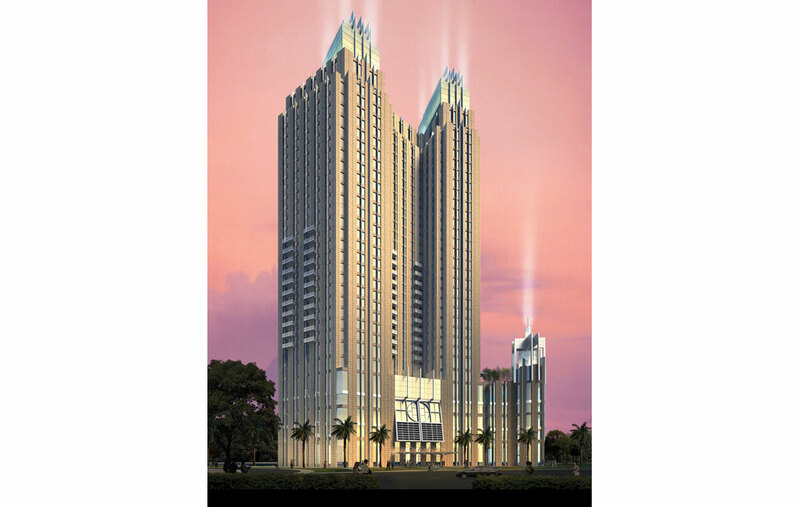 The brief was to design a 30-storey twin tower development in the Mizin area of Dubai, comprising a five-star hotel operation of 303 guestrooms and executive suites, food and beverage outlets, and conference facilities, in addition to 163 furnished and serviced apartments of one and two bedrooms in the style of a ‘1930s New York skyscraper’. 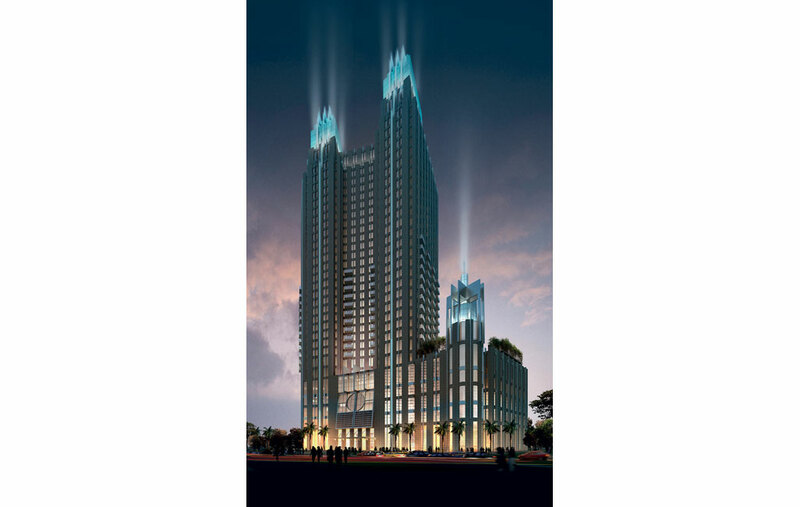 The design was prepared with Tange Associates who brought innovative concepts, efficiency and technologically advanced solutions to the project. The proposal is responsive to the brief while satisfying the stringent development control guidelines of the master developer of the Mizin area, namely, Dubai Properties. The challenge for the architects was to resolve their design ethos of responsive regionalism within the imposed New York style. The skyscraper was borne out of a specific time and place in which land was limited and urban economics demanded high density. Neither of these conditions exist in the context of this project. Nevertheless, the application of the aesthetic has produced an imposing and evocative proposal. It was anticipated that the operator, Rydges, would manage the hotel, so the design was tailored specifically to their design criteria. The general arrangement locates residents’ and guests’ parking in the basement and podium; reception and lounge on the ground level; and spa facilities, including outdoor swimming pool, on the podium roof deck. All accommodation is provided within the two Art Deco influenced towers.